Who has the most authority to answer this query? Relevancy - if the content of your page is relevant. Past user experience (if there is enough data available) – did other people who made this query react positively to your website? The profile of links pointing to your site or page - are they from good quality sites and on pages related to your page. Where the person who is carrying out the search is located - because someone located in Dallas searching 'Italian Cafe' probably wants an Italian Cafe in Dallas. What websites the person who is carrying out the search has visited before. So, for example, if someone searches “what is the time in New York now” and one of your pages has the title “What is the time in New York now” and the content seems to be about the current time in New York then your page is very relevant to the query. The How to SEO your website guide covers how show Google your page or site is relevant for particular search queries. Are the links from pages on another website with related content (e.g. to do with time or time in different places)? Are the websites that are linking to yours good quality ... what sort of links do they have? How any other links to other websites are there on that page? Is the link marked as 'no follow'? From this they will conclude how much Authority your site should be given because of the link. Most people tell search engines, usually without even realising it, where they are located. So a person who is in New York and searches “What is time now” might see the same results as a person based in India who searches “What is time in New York now” while a person in Washington who searches “italian restaurant” will see a completely different set of results compared to a person in Detroit who searches “italian restaurant”. This is reason number one why anyone who promises you your website will be number one on Google if you use their services is to be avoided. In other words Google #1 is a myth. Most search engines also keep track of where you have been on the web in the past unless you explicitly block them. This means the search results you see are often different from those of a person who sits next to you but uses their own computer! As a personal example when I'm planning to cook my favourite curry I always look up 'Prawn Saag' on Google and from the results I always choose the Curry Frenzy website. This wasn't always at the top of the search results but it is now number one for my search results. Google has learnt this is the site I am looking for after I search 'Prawn Saag' and so it tries to be helpful by placing it at the top of the list. This is reason number two why Google #1 is a Myth. Its also why many people who are just getting started on their own SEO suddenly think their work has succeeded because they notice their website at the top of Google all the time. We'll look at how you can get round this so you can see that other people do later. It is possible for a page or site with no links to rank higher than one with many links if its content is more relevant to the query being searched and user behaviour is more positive. 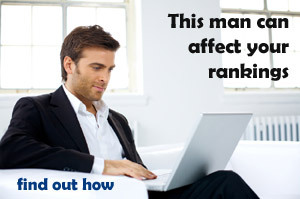 It is possible for a page that has little to do with a search query to rank highly because of the link profile. Just Google 'click here' to see Adobe as one of the top results even though its site has nothing to do with 'click here'! Most search engines actually claim to use hundreds of signals but what we have discussed here are the 'big five' and many of the other signals are in fact sub parts of these. So now you know how search engines rank sites and pages in their search results pages its time to understand what SEO is. I'm Tim Hill, a Search Engine Optimisation and Online Marketing specialist. 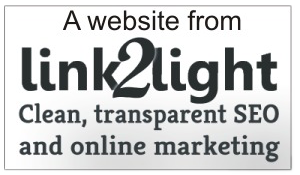 I created this site to help others understand that SEO is not a mysterious black art!. If your a newbie try the Getting Started in SEO page, otherwise feel free to dig around and learn more. Find me on Facebook or get in touch if you need help.